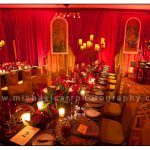 Houston wedding photographers, Michael and Lisa Carr, recently photographed Emily & Will’s wedding. This is a fun couple and we enjoyed capturing their wedding. The ceremony was at St. Paul’s Methodist Church, followed by an intimate reception at The Houstonian. Ann Whittington did an amazing job with the planning and details of their wedding. Façade Uptown did an outstanding job with her makeup. Plants n Petals helped with florals and décor. The couple had a one of a kind monogram dance floor, which set the stage for their first dance. The guests enjoyed dancing the evening away before the couple’s departure. 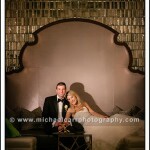 Congrats Emily & Will, here is a sneak peek of images from your wedding. To learn more about our wedding and portrait photography, visit our site: www.carrweddings.com or call 713-461-2862 to schedule a personal consultation in our Houston Galleria area studio.